1. Put the mango and papaya flesh in the blender with the milk and blitz until smooth. 2. Add the passion fruit seeds and remaining ingredients and pulse until well combined before serving. 3. If the mixture is too thick, add either extra almond milk or a couple of ice cubes and re-pulse. This smoothie is packed with protein and omega 3 from the seeds, plus an array of essential vitamins and antioxidants from the fruit, and a good serving of calcium from the milk. Almond milk is a good choice, containing many of the health benefits found in the whole nuts. This smoothie has an abundance of Vitamin C, so great for anti-oxidants. Plus it has a good amount of protein and omega 3. 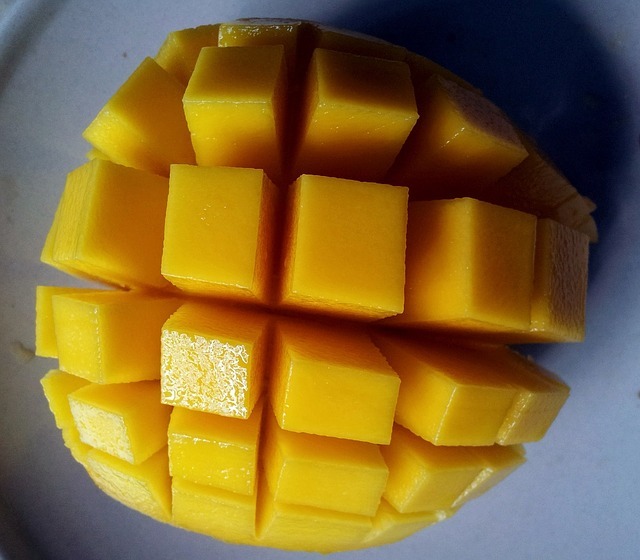 The many benefits that mangos have mean that some consider it to be the King of the Fruits! Mangos can help with weight loss, alkalize the system, clean skin, regulate diabetes and aid digestion. Packed with vitamin C, and also with generous amounts of vitamin A, the mango also contains probiotic fibres. They also have a number of B vitamins, including vitamin B6.